In the knowledge society, universities have assumed new missions and relations in order to contribute to economic and social development, while preserving their own sustainability. 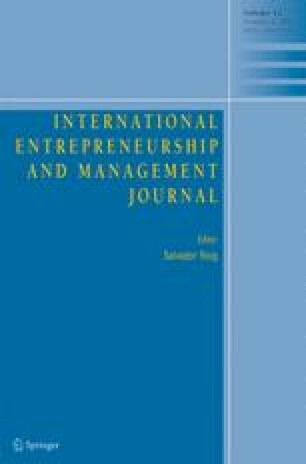 This article aims to explore scientific literature on innovation and entrepreneurship in the academic setting, describing how the field is organized, main terms and definitions, theoretical frameworks, and empirical models, in order to direct future research. A systematic literature review was conducted, in which articles indexed at Web of Science were initially submitted to a bibliometric analysis. Then, the content of a set of articles best fitting the objectives of the study was analyzed. Bibliometric analysis shows an increasing literature, with publications over more than 40 years. There are studies from many disciplines, with those in business and economics prevailing, mainly related to management and originating from the USA and Europe. Content analysis shows a fragmented literature, with definitions not showing a clear relationship between innovation and entrepreneurship, or their use within universities in coherence with their traditional definitions. Both theoretical frameworks and empirical models are very heterogeneous, but four groups of studies were identified based on their theoretical frameworks, and also based on their empirical models. With only a few exceptions, empirical models do not share many components and variables, and there are no clear boundaries between the different models. Despite the increasing literature, it is still fragmented and undertheorized, requiring more systematic and holistic studies, considering both the economic and the social aspects of innovation and entrepreneurship within universities. The first author acknowledges financial support of UNIEDU/FUMDES, FAPESC (TO 2015TR298) and UNISUL during the research that resulted in this article. The Frustration of academic innovation: can new teaching techniques survive in academic marketplace?